The Washburn Alumni Association is committed to rewarding our members for their support and pride in Washburn University. Free After Hours monthly social and tailgates before home football games and select baseball and softball games. These events include free food and beer! Discount admission to events like the Alumni Fellows luncheon, Alumni Awards banquet and Wake Up With Washburn. Buy-one, get-one-free general admission tickets for Washburn football and basketball regular-season home games. Display your membership card at the ticket booth to receive one free ticket, per game, per membership. 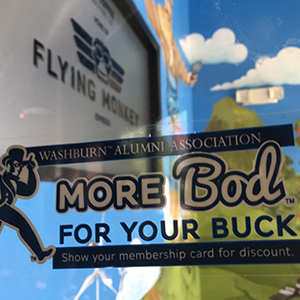 Look for our “More Bod For Your Buck” decal at businesses offering local discounts and display your membership card to save. There are more than 100 discounts to local restaurants, retail stores, entertainment options and other businesses. Shopping outside Topeka or online, check out the national discounts available for things like dining, shopping, entertainment and travel. Alumni Access is a national network of businesses offering discounts on things like shopping, dining and travel. 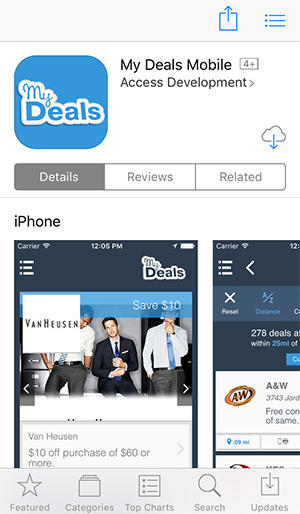 Register online then use the My Deals Mobile app on iPhone or Android. Alumni Access offers users 300,000 printable coupons, 175,000 mobile coupons and guaranteed savings on hotels and car rentals. When signing up online, in the Member ID field, you'll see the Washburn Alumni Association program ID number (200576). After that, add your membership number, located on your Alumni Association membership card. When signing into the app, you'll need the program ID number (200576) and your membership number. The alumni insurance program offers a variety of attractively-priced insurance products, most of which are available to alumni, students, faculty and staff, as well as their spouses, domestic partners, children, parents and siblings. For questions about accessing your Alumni Association discounts, contact us at 785.670.1641 or by email. Membership dues support our scholarship fund, which generates hundreds of thousands of dollars for students. 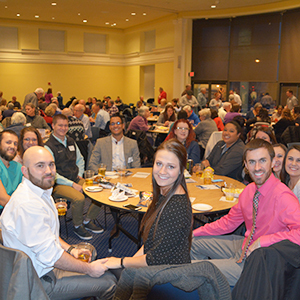 Your support is vital to the success of the Alumni Association and Washburn. You drive our ability to reach our mission and goals, sustain existing programs and implement new ideas. Your support funds our events, publications, reunion activities and alumni chapter meetings across the country. Your alumni dues also have an impact on Washburn’s ranking in several reports, including the U.S. News and World report. Dues also are a qualifier for the amount of funding Washburn receives from the State of Kansas. See an alphabetical listing of all retail, dining, travel and other discounts offered exclusively to Washburn Alumni Association members.